The ‘e’ in ‘e-series’ stands for external control. These fixtures can be controlled centrally by a Gavita Master controller. This replaces the often cumbersome installation with contactors and timers, and adds safety features such as automatic dimming of your lights at high temperatures and even a safety shutdown. We developed a completely new ballast for the Gavita Pro 600 e-series, reducing the inrush and incorporating direct control remote control. The fixture comprises of a ballast, reflector and lamp in one complete compact package. Made according to horticultural standards, the housing of the ballast is sealed and contains a gore-tex® plug to ventilate the housing, while keeping dust and humidity out. Ballast output is either controlled by the Gavita Master controllers, or an external switch, allowing it to be adjusted to 400, 500, 600 and 660W boosted output. The Master Controller can centrally control the output hundreds of fixtures in a range between 300 and 660 W output power. Using the Master controller safeguards your valuable crop by the added auto-dim and auto-shutdown features, and completely automates your light control. 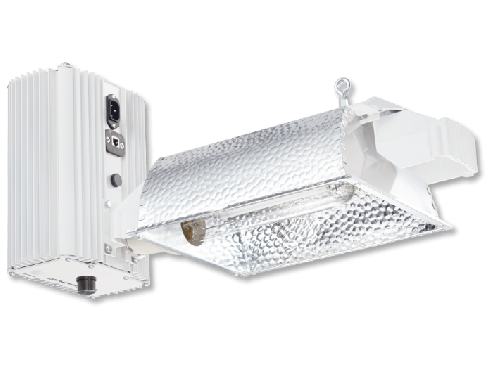 The high frequency ballast was specifically designed for the Gavita double ended HPS lamp, resulting in an accurate, optimal output, a stable burning lamp and a better light maintenance over time. 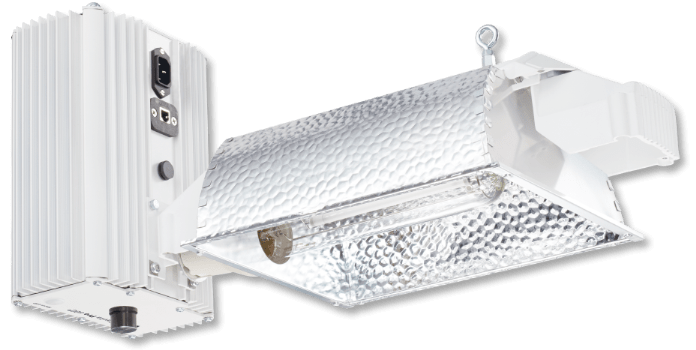 The ballast is not suitable to run Metal Halide lamps. The spread of the Pro 600 with the industry standard HR96 SE (Single Ended) reflector is about 2.7x4 ft (80x120 cm) at 2 ft distance in overlapping plans for light levels up to 1000 µmol s-1 m-2. The reflector is replaceable (we recommend to do this every year to two years) The high frequency electronic ballast is designed to drive the Gavita Pro Plus 600 high voltage, high frequency single ended lamp, generating 1150 µmol s-1 of PAR light. This ballast is only suitable for our 400V, high frequency HPS lamps.